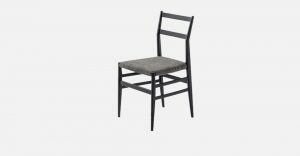 Sling chair with polished trivalent chrome plated (CR3) or semigloss black enamel steel frame. — saddle leather in a wide range of colours with matching arms. 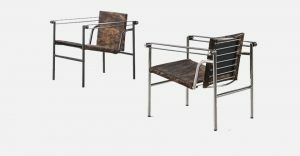 An outdoor version is also available for this model. 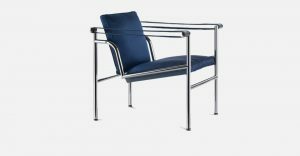 This lightweight and compact chair is a counterpoint to the Fauteuil grand confort, more massive, and it is in perfect balance with the table in steel tube and the chaiselongue. 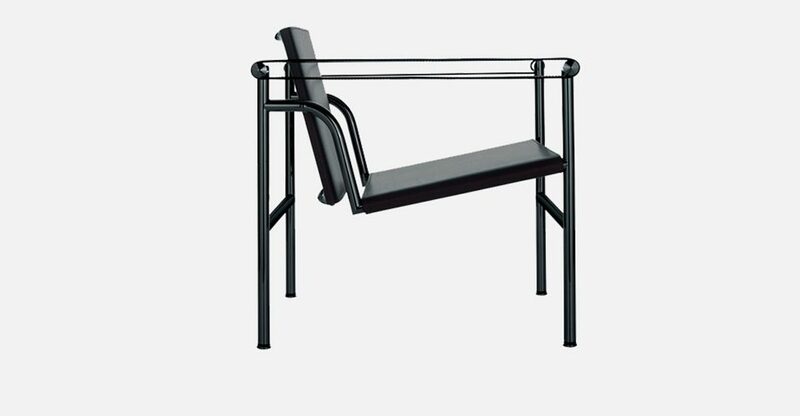 There are three versions of this chair which were all designed for diff erent uses: the model that was shown at the Salon d’Automne in 1929, the version created for Villa Church in 1928, and another version created for the 1930 exhibition the Union des Artistes Modernes.